Europe is breathing a sigh of relief after Dutch Prime Minister Mark Rutte held off his rival, firebrand right-wing leader Geert Wilders. But the euphoria could be short-lived: Wilders may be down, but his political agenda and discourse certainly aren’t out. In the end, it was a mixture of opportunism and populism-light that won the day for Dutch Prime Minister Mark Rutte’s liberal People’s Party for Freedom and Democracy (VVD) and the center-right Christian Democratic Appeal. The CDA-led proposal to let children sing the national hymn every morning at school would have been unthinkable a decade ago. Rutte’s letter in multiple Dutch newspapers demanding that immigrants act “normal or leave” could have been written by anti-migration, anti-Islam, anti-EU Geert Wilders himself. And by refusing to let Turkish ministers campaign in the Netherlands, Rutte deliberately showed Dutch voters a glimpse of the kind of authoritarianism many Wilders supporters long for in a leader. In short, the election did not stop the country’s veering to the right. 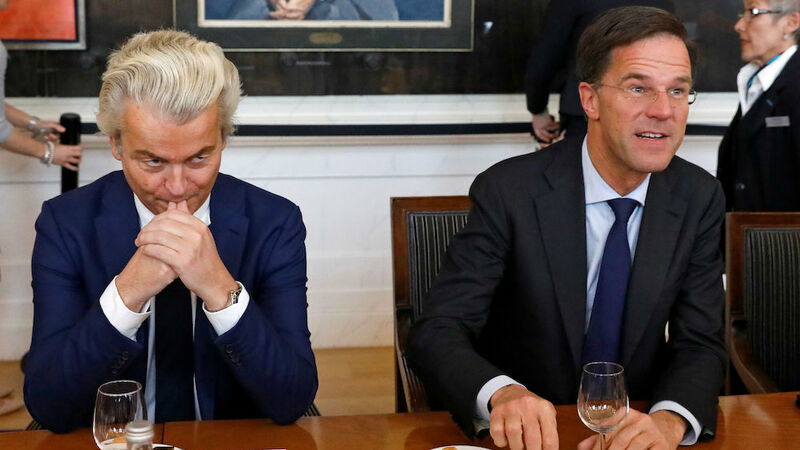 For more than a decade now, Geert Wilders’ Freedom Party (PVV) has been setting the course, with mainstream parties either directly copying the populists’ proposals or reacting to the issues they put on the agenda. That has served to legitimize Wilders’ party, which is essentially a one-man band, and further radicalize the PVV – and, indirectly, the Dutch center-right as well. Yet it is not only the CDA and VVD that have been forced to respond to the populists’ pressure. Left-wing parties, too, have re-shaped their image, painting themselves as a direct rebuke. The success of newcomer Jesse Klaver, the Green party’s young and energetic leader, was built upon a message of hope and optimism, one that consciously mirrored Wilders’ rhetoric of fear and decline. The Greens explicitly profiled their cosmopolitan and liberal values – a course they likely would not have pursued if Wilders had not stirred up the Dutch political arena so dramatically. Even though Rutte’s VVD came out on top these elections, Dutch voters very clearly rejected his government’s policies over the last four years. His party lost about a quarter of its share of votes. The Labour Party (PvdA), the VVD’s coalition partner, suffered an embarrassing setback, plummeting from about 25 percent of the vote in 2012 to a paltry 6 percent this year. The punishing they received at the ballot box is also a sign that anti-establishment sentiment is not only a far-right or far-left phenomenon. Voters ignored the fact that it was the PvdA and especially its leader Lodewijk Asscher who kept the government together over the last four years. The days that the PvdA could count on the left’s strategic vote are definitely over, and that signals a remarkable shift in a country built upon compromises, a country that always chose pragmatism and responsibility over idealism and adventurism. The massive international press attention on Geert Wilders over the past weeks and months is understandable, given both the fears that Europe could witness a domino effect in French and German elections later this year, and the fact that Wilders fashioned himself as the Netherlands’ very own Donald Trump. Much more interesting, however, has been the fragmentation of the Dutch party landscape these elections. The country is used to dealing with a host of political newcomers, especially compared to most European countries. But 28 parties participated in this year’s election. That is remarkable, even by Dutch standards. And it was not only the large number of contenders that surprised – it was also the fact that many of these parties serve very specific interests and target groups. This is worrying sign that the polarization of Dutch society, initiated by Wilders, has now reached the full political spectrum. The country’s traditional mainstream parties struggle to connect to broad sections of the society and are unable to accommodate them under one roof. 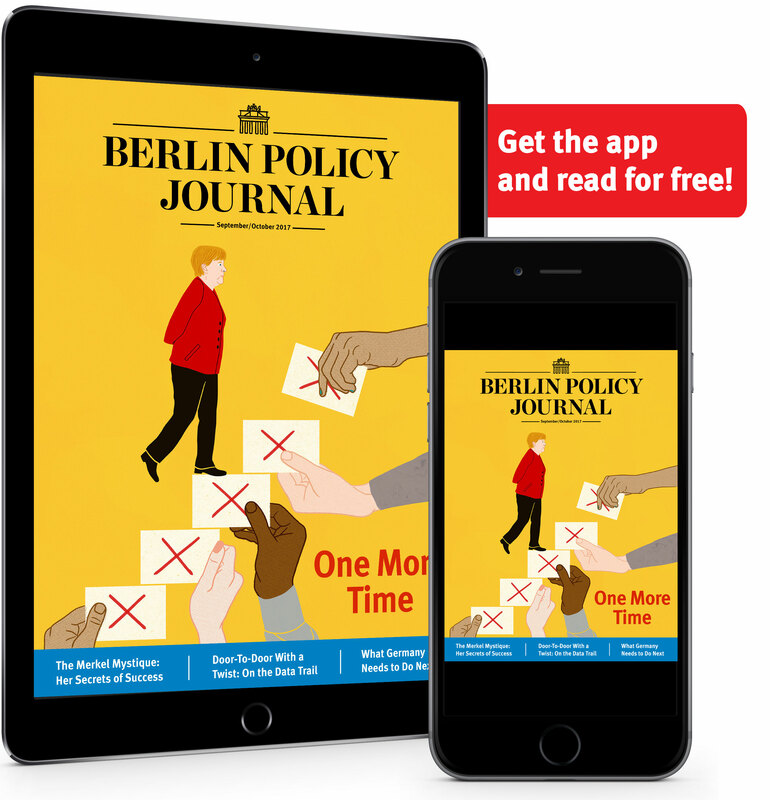 That trend is growing increasingly common across Europe, but it is especially noticeable in the Netherlands because of the low threshold of votes needed to enter parliament and the country’s extremely volatile electorate. 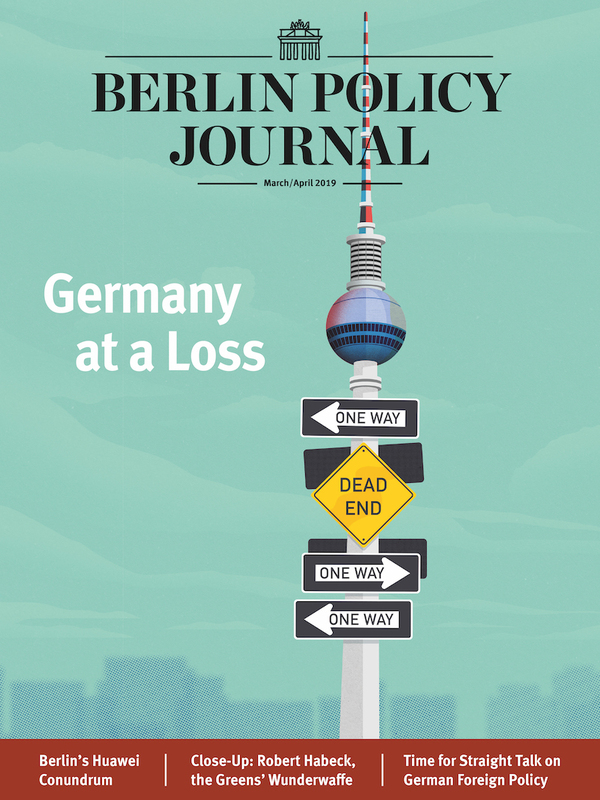 The lesson other European states can learn from this Dutch election is not how to fight populism with opportunism, but rather that the large, popular parties need to rethink how they speak to an increasingly emancipated and divided electorate. Otherwise we might be looking at the end of Europe’s traditional party structure, with a serious risk of further polarization. is a political scientist, journalist, and commentator with a focus on right-wing populism in Germany and the Netherlands. He is also a former adviser to the German and Dutch Social Democrats.